Can Iran Disrupt American Encrypted GPS Systems? Iranians may have learned how to disrupt and spoof American encrypted GPS systems, and that new ability is connected to the downing of an American drone a few years ago, and also to the capture of two American Navy craft earlier this month. If true, this new tech is a potential global game changer. Here’s some additional information on what might have happened recently in the Persian Gulf. All that “misnavigation” would have meant two boats making the identical error in some of the world’s most volatile waters, and that no backup systems as simple as those in your cell phone were available. Armed boats inside the Persian Gulf nosing around a foreign military base usually drive very, very carefully. Measure twice, cut once. A team uses a technique known as “spoofing” — sending a false signal for the purposes of obfuscation or other gain. 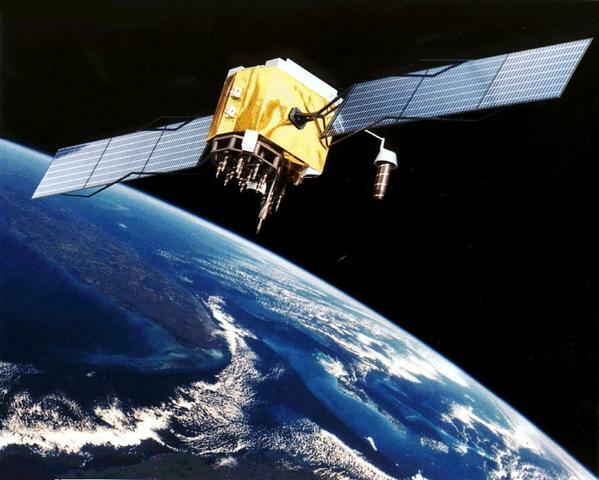 In this case the signal in questions was the GPS feed, commonly acquired from several satellites [pictured above]. By spoofing the GPS feed, Iranian officials were able to convince the drone that it was in Afghanistan, close to its home base. At that point the drone’s autopilot functionality kicked in and triggered the landing. But rather than landing at a U.S. military base, the drone victim instead found itself captured at an Iranian military landing zone. Spoofing the GPS is a clever method, as it allows hackers to land on its own where they wanted it to, without having to crack the [encrypted] remote-control signals and communications. If the Iranians have such technology, what happened in the Gulf with those two U.S. Navy boats is easy to explain. As they came close to Iranian territorial waters, the Iranian Revolutionary Guard (IRG) spoofed both crafts’ GPS system simultaneously. The navigation systems were told the boats were outside of the line, when in fact they were inside the line by about a mile. Two systems with the same information displayed at the same time are unlikely to be questioned. If the Iranians had such technology since 2011, and assuming they have not used it before against the U.S. in any undisclosed incidents, why did they employ it now, and against such meaningless targets as two small patrol boats? Timing is everything. The nuclear deal the U.S. made with Iran was not popular among its own conservatives. The Iranian Revolutionary Guard represents a conservative body of thought in general, and are specifically in charge of much of the weapons-side of the nuclear program. That opens the door to two potential “why now” answers. The first may have been to try and postpone or trash the nuclear deal at the last minute by sparking an international incident. 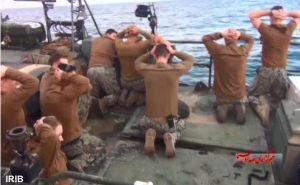 Imagine if the more liberal, secular elements of the Iranian government had failed to get the American sailors released so quickly, and the whole mess developed into a full-blown hostage “crisis.” American war drums would have beat hard. The second may be more subtle. The United States uses GPS technology to guide most of its long range weapons, the weapons that would play a significant role in any U.S. attacks on Iran. The Guards’ overt use of the spoofing tech may have been a warning shot to the U.S., a signal that any American aggression towards a non-nuclear Iran (as happened to non-nuclear Saddam, or in Libya soon after that nation abandoned its nuclear ambitions under U.S. pressure) would be complex, and possibly a failure. And if that wasn’t enough, the IRG may have sent a note via its actions that such tech could easily find its way into other unfriendly hands. Speculation, of course. There may be an explanation for the boats’ misnavigation as simple as a young sailor’s human error. But the science suggests at least one other reason, with significant repercussions for years to come. So What Really Happened With Those U.S. Boats Captured by Iran? Whatever happened, it does not seem to be anywhere close to what we are being told. As with the killing of Osama bin Laden, Benghazi, and the bombing of that Afghan hospital, the U.S. government seems to be spitting out explanations and seeing which one the media will swallow. But there may be an explanation that might answer some questions. But first a review of what’s already been said, and then discarded. But then a few people began to ask how two boats had mechanical failures simultaneously, or why one didn’t tow the other, or evacuate the crew and sink the broken boat or call for help or anything else that made sense. And the idea that somehow the U.S. government was simply misinformed about what really happened to the degree that the vice president made a fool of himself on national TV is a bit hard to process. Well, it would have had to have been two boats making an error, and that in some of the world’s most tricky territory. Armed boats inside the Persian Gulf nosing around a foreign military base usually drive very, very carefully. Seems hard to just write this off blithely as “pilot error.” Among other questions: wasn’t the big Navy, with lots of ships and planes in the area, tracking these boats via radar? Seems the Iranians sure as hell were. Don’t like those ideas? Oh wait, there are some more explanations. “U.S. defense officials were befuddled about how both vessels’ navigational systems failed to alert them that they were entering Iranian waters,” reported the Daily Beast’s Nancy Youseff. SecDef Carter sought to explain this away by saying, “It may have been they were trying to sort it out at the time when they encountered the Iranian boats.” The LA Times said boats were perhaps running out of gas, entered Iranian waters merely as a “shortcut,” experienced engine failure when they tried to escape, and then on top of all these misfortunes, experienced radio failure. So, what did happen? We may never know, but here’s something to consider. In 2011 a drone (the U.S. never acknowledged it was American, but it very much appeared to be from the photos) was forced down in Iran. What if the Iranians have figured out how to jam the U.S. encrypted GPS systems and instead feed them false coordinates? The false GPS coordinates may have said the drone was at the airfield, so the thing went into a landing cycle and crashed in Iran. A lot of sensitive technology fell into Iran along with that drone. So consider this. 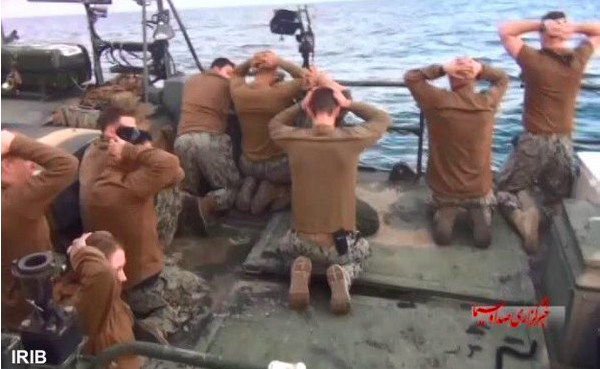 Let’s assume the U.S. boat crews did not intend to enter Iranian waters, technically an act of war. The U.S. itself has ruled out mechanical failure, and said the cause was navigational error — GPS-based technology. A dumb crew making mistakes is always a possibility, but two crews doing it simultaneously in such dangerous territory? Seems like a place where you measure twice and cut once. With backup. What if their GPS was spoofed, telling the crews they were not in Iranian territorial waters, at least until the Iranian Revolutionary Guard showed up to inform them at gunpoint? The U.S. government, shocked, fumbles around for a day or two looking for an explanation people will accept. Iran accomplished its goal, tweaking the U.S., and telling the Americans not to mess around in their Gulf. Anyway, if you have a better explanation, feel free to shout it out. That’s no different at this point than what the government is doing. Getting ready for that free update to Windows 10? Using the latest OS on your iPhone-Apple Watch-MacBook setup? Smart enough to have moved to a full-on Linux system? If you answered YES to any of the questions above, you are not the U.S. Navy. The Navy is still running Windows XP, a decent enough system when it came out in 2001, fourteen years ago. Fourteen years in computer time is like twenty million people years, FYI. 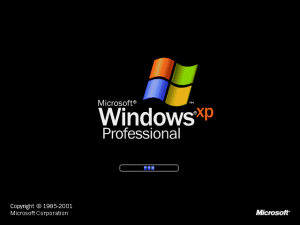 Dinosaurs still roamed the earth when Xp came out. You probably aren’t driving the same car you had in 2001, are you? The choice to use the obsolete operating system costs the Navy $9 million every year, as Microsoft stopped providing free technical support and security updates for Windows XP over a year ago. 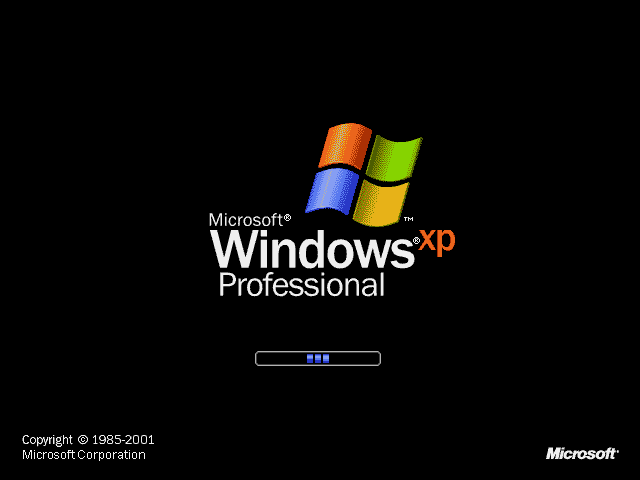 Never one to leave a buck on the table, especially when it is a taxpayer dollars, Microsoft provided the option of continued support for XP for a price. That’s what the Navy has to pay for. For those keeping track, there are four versions of Windows that are newer than XP – Windows Vista, Windows 7, Windows 8 and the soon-to-be released Windows 10. The Navy said it has plans to upgrade to one of those (oh sure, go for Vista!) by July 2016, but there’s a chance it will take even longer. Consequently, the Navy’s contract with Microsoft includes an option to extend the agreement until June 2017. ProTip: Never accept a piece of custom software that is reliant on features in a current operating system. That is not smart management. Failure to future-proof software (remember the Y2K thingie?) is great news for contractors and poor planning on the part of government and business. And good news, while most of the Navy’s land-based computers have already been upgraded to newer versions of Windows, the 100,000 computers located on ships are the ones that still rely on XP. 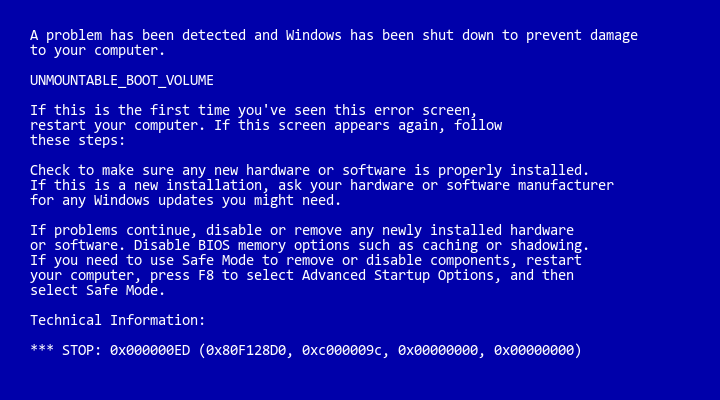 So sleep safe, America, your sons and daughters at sea are safe in the arms of the mighty XP. Today marks the end of the military’s policy of “Don’t Ask, Don’t Tell,” and the beginning of a new era when military members may serve without penalty simply because of their sexual preference. Gay people can now be gay people, in uniform. Of course gay men and women have served in the military forever. There is no doubt that some of the bravest soldiers, best Marines, dumbest grunts, most incompetent sailors and everyone else were gay; they just could not admit that without being thrown out of the military. That made no sense. Judge a person by his/her actions and how they do their job, not who they dream about at night. 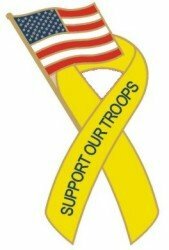 Serious about honoring our military, supporting our troops? Then stand with them as they transition to this new policy. Trust me, in combat, deployed to crappy places, in fear of their lives, they have enough on their minds and don’t spend a lot of time worrying about who is gay.